Nazi Site Goes Offline After Losing Web Host, Plans To Protest Funeral Of Woman Killed In Terror Attack - Joe.My.God. The white supremacist website The Daily Stormer is taking a page out of the Westboro Baptist Church playbook by sending self-described Nazis to the funeral of a woman who was allegedly killed by a white nationalist brethren in Charlottesville, Virginia. 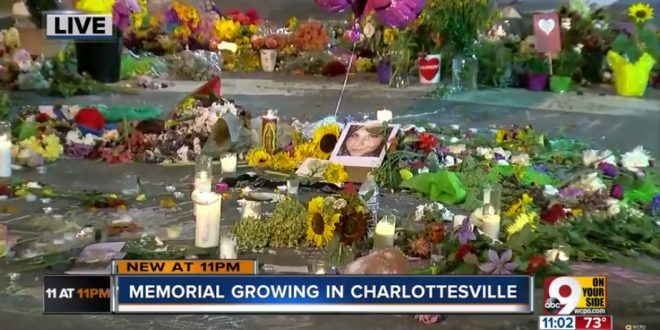 Conservative journalist Laura Loomer revealed in a tweet on Tuesday that Daily Stormer system administrator Andrew Auernheimer, know as “Weev”, is recruiting like-minded people to protest the funeral of Heather Heyer, a counter-protester who police suspect was deliberately run down and killed by a member of a violent group opposing the removal of a Civil War-era statue in Charlottesville. The Daily Stormer is offline at this writing, presumably because they cannot find a replacement domain host.